Lately, it feels like everytime I speak to my friends and family they come armed with a list full of great eateries for me to check out. I love that they all try to give me a helping hand with the blog and often through their suggestions, I discover some great little places that may have otherwise remained unknown to me. 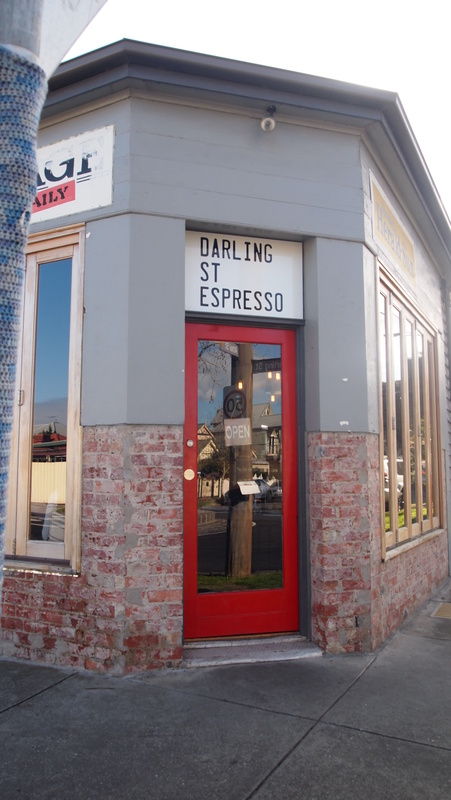 One of these many suggestions was Darling Street Espresso. Situated on a Moonee Ponds back street in what was an old milk bar, this charming little cafe is breathing life back into an old school corner shop. Although small in size, the retro industrial space offers visitors a really relaxed dinning experience which is perfectly suited to Melbourne’s buzzing brunch scene. 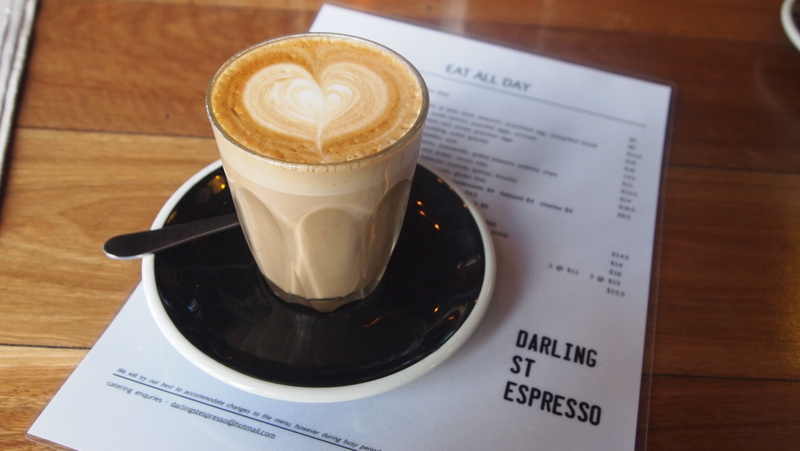 Brewing Industry Beans coffee and offering a diverse breakfast/lunch menu covering everything from potato & preserved lemon pancakes to soft shell tacos, Darling Street Espresso is attracting people from all over town. On this particular trip we decided to try the apple pie porridge (with rhubarb & coconut crumble, chai butter and cacao nibs) and the brekky roll (organic bacon, fried egg, relish, cheddar, aioli), both of which were really delicious. 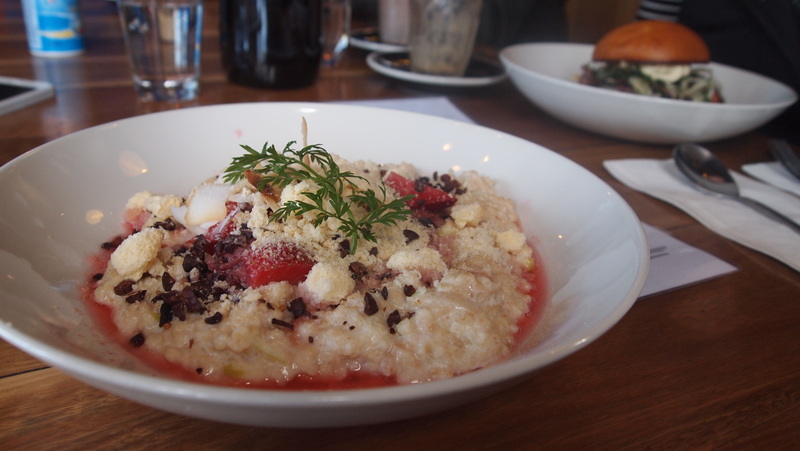 The apple pie porridge was a great spin on the traditional breakfast dish. 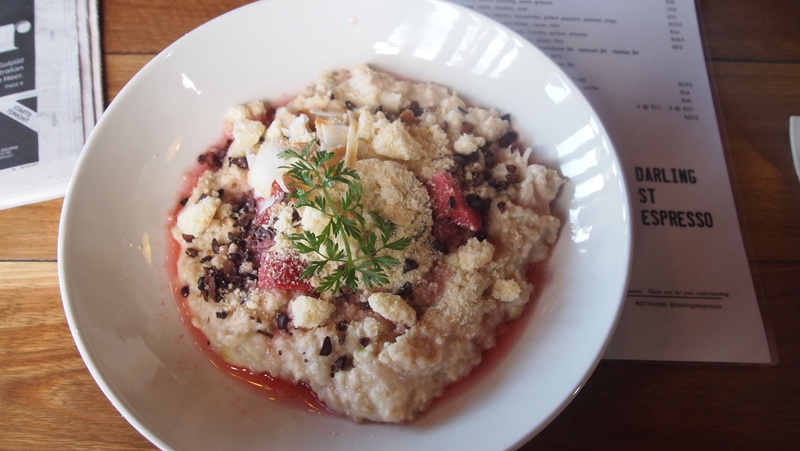 It was really flavoursome and texturally varied, offering both the softness of the porridge and rhubarb, then the crunchiness of the toasted coconut and cocoa nib. All of the elements complemented each other perfectly, making for an ideal start to the day. 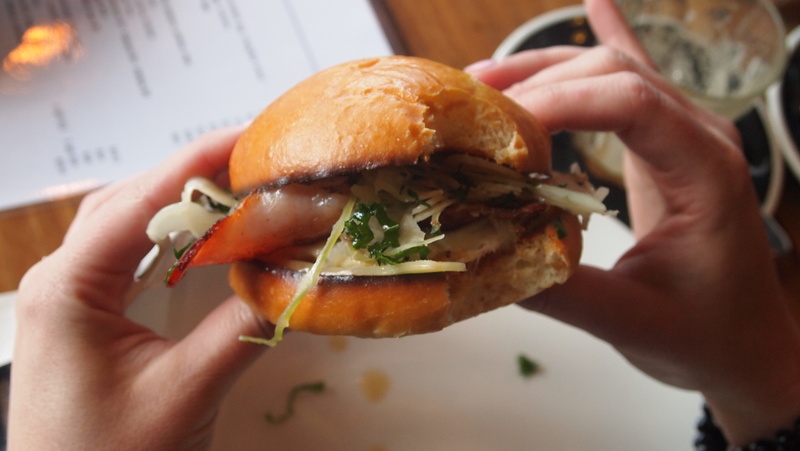 The brekky roll was also good. 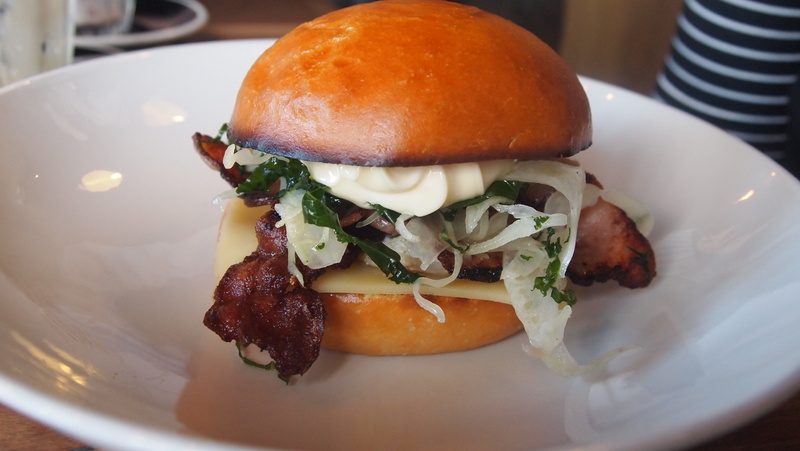 It was filled with great quality bacon, eggs and cheddar, all of which were accentuated by the relish and aioli. After a great brunch, I really couldn’t recommend this place enough, so much so, I think I just found my new favourite local café.